Congress Bridge stretches across Lady Bird Lake and disappears into the Austin skyline. Prominent high rises such as the Austonian, the Ashton, 100 Congress Plaza, and the Frost Tower add architectural beauty and design to the downtown area on a perfect spring evening. On Congress Bridge, folks are lined up waiting for the nightly departure of bats. 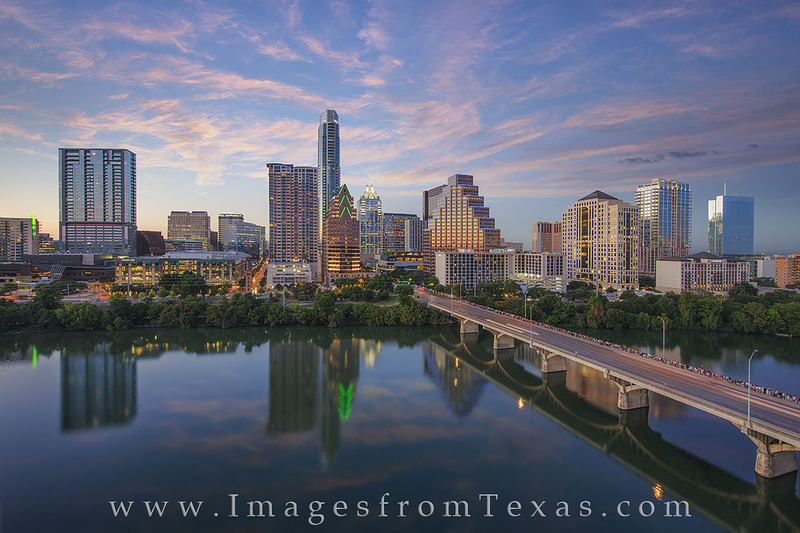 This Austin photograph was shot from the top of the Hyatt while working on a special assignment for the hotel. Photo © copyright by Rob Greebon.